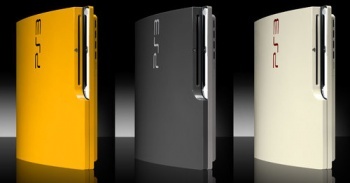 Already bored of looking at your generic black PS3 Slim? Colorware can help. The PS3 Slim might be proving ultra-popular, but its painfully generic black finish does little to excite the senses and offers no avenue for the Sony faithful to express themselves. This is where Colorware comes in, allowing PS3 Slim owners - or at least ones that live in the US - to customize their console for the measly sum of $150 or to buy one directly for $450. Now, third party modifications aren't anything new, but it's quite the modification that costs the same as two and a half new games, especially when it's purely cosmetic. But if you have some spare cash and fancy a pink and lime green PS3 Slim, check out Colorware's site here.